The following hire prices are per day from 10am to 7pm. 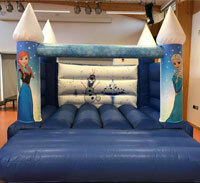 Overnight hire is an additional £30 with collection at 10am the next day. Discounts available for longer hire periods. Delivery to the SS and most RM and CM postcode areas is included in the hire cost. Tailored packages always available, please call for details 07841 483771 or fill in our CONTACT FORM. 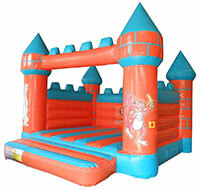 All little girls will love this 10ft x 10ft bouncy castle. 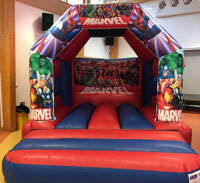 Boys will love this 10ft x 10ft superhero castle. 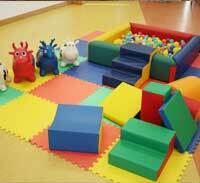 Soft play set for the under 3s. Dimensions: 14 x 14 x 10ft. Competitors balance on an elevated pole. 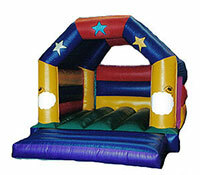 A battle of wit, grip and balance as you attempt to disloge your opponent using specially designed "pillows"! 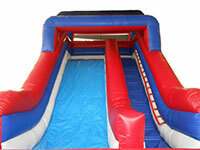 How long can you keep your balance on this 20ft square gladiator duel? 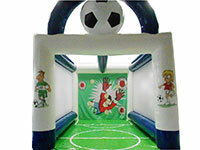 Our custom made penalty shootout will have everybody trying to score a goal!